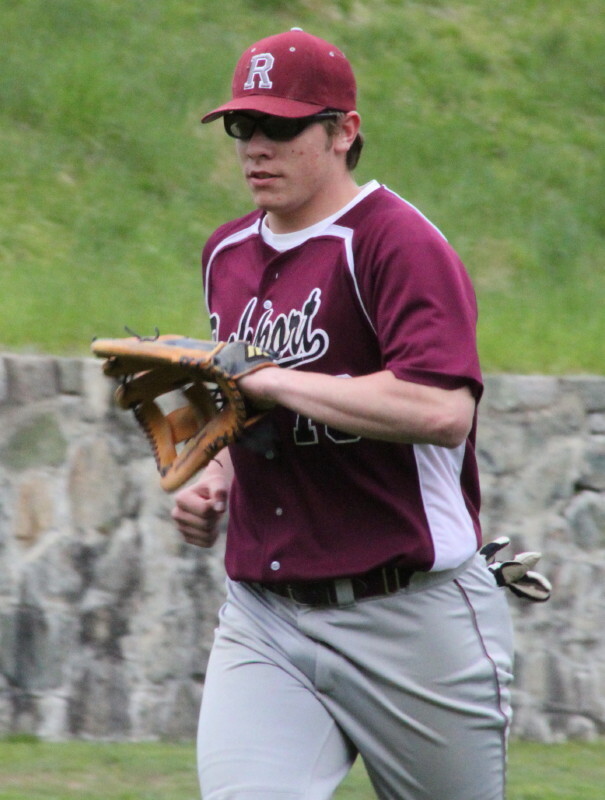 Newburyport first baseman Ryan O’Connor touches first to record the last out in Newburyport’s 3-0 win over Rockport. 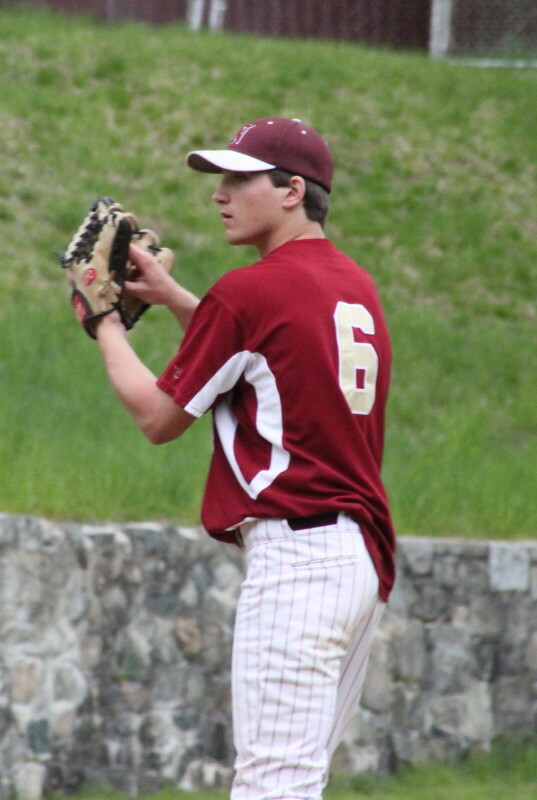 (Newburyport) It didn’t take any late-game heroics for NHS coach Bill Pettingell to get Win #601. What it took was a 2-hit shutout from Brett Fontaine and sound fundamentals. 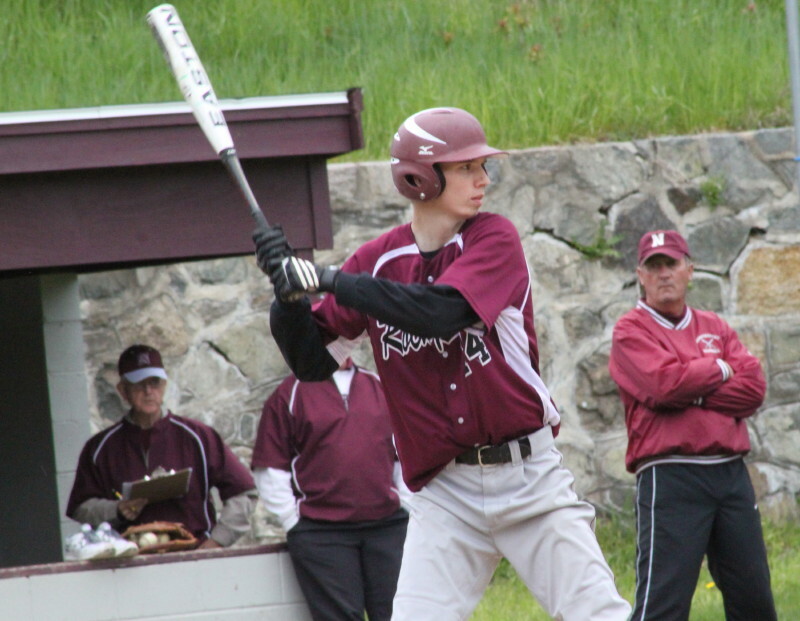 Newburyport (8-3) defeated Rockport, 3-0, on a drizzly Monday afternoon in Cape Ann League action. Brett Fontaine went the route for Newburyport and retired the final eight Vikings in order. The sound fundamentals appeared in the 5th and 6th. The 5th inning piece kicked in after Rockport (4-5) had it’s first two batters on. A strikeout and a force out put runners on first and third. Rockport then sent the runner from first hoping to get the runner home from third during the attempt. The Clipper infield reacted properly and Mike Tupper ended up getting caught between third and home for the final out. In the sixth, Colby Morris led off with a rope past third. The Clippers, with Ryan O’Connor at bat, executed a perfect hit-and-run play. Ryan’s grounder toward the right-side hole could have been a double play except that Colby had taken off for second and the second baseman headed toward 2B to cover as the ball went into right field. 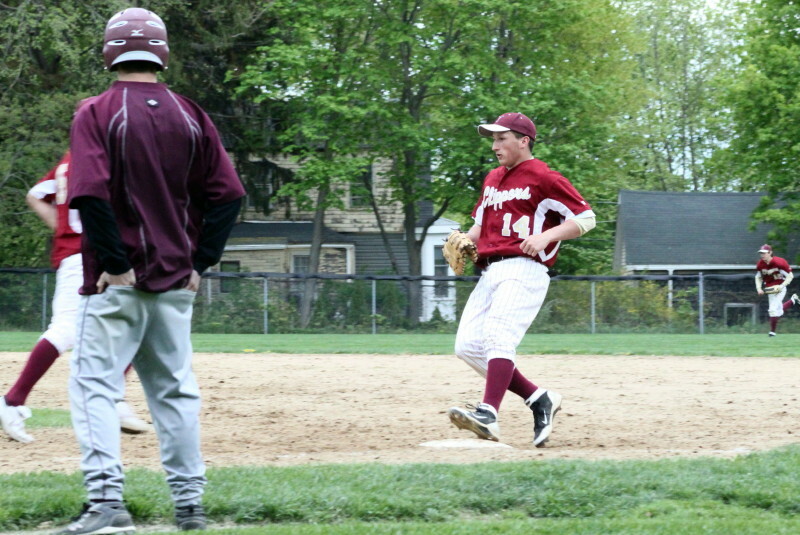 Colby Morris scores Newburyport’s second run in the game in the sixth inning. Defensive replacement Mike Petrino rushed in on the grounder seeing that the runner from first was going to try for third. Unfortunately for Rockport, the ball got past Mike and this allowed Colby to came all the way around and score Newburyport’s second run. Ryan reached 2B on the play and was driven home by Matt Mottola’s single off the fence in left. So, in one inning the Clippers prevented a run and in the next they manufactured two runs in both cases with excellent execution of baseball fundamentals. Viking starter Tucker Meredith gave up six hits and had no walks. He also had one of the two Rockport hits. In the 4th inning, he flied deep to David Cusack in center. 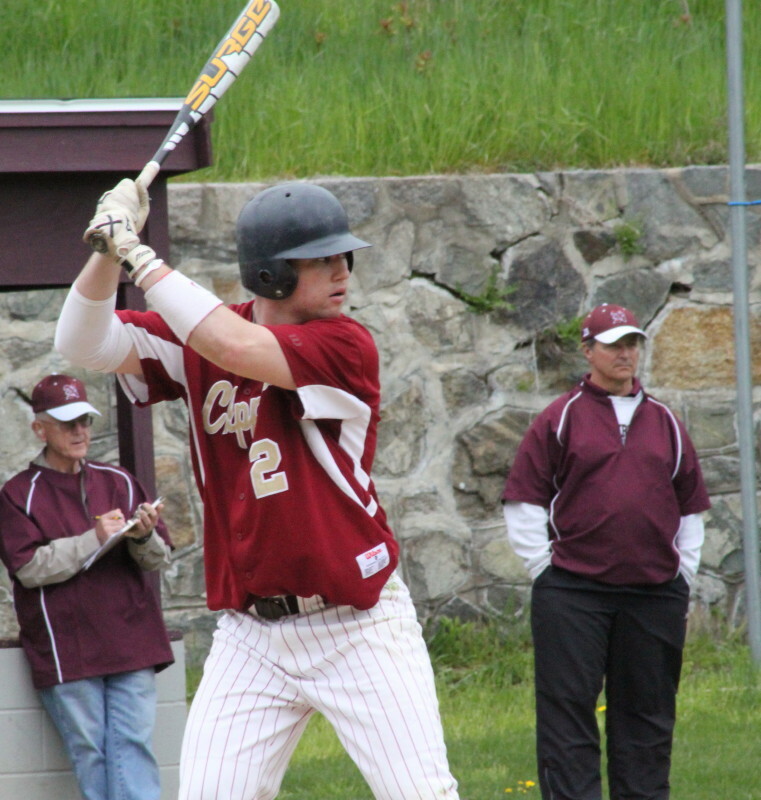 Newburyport scored a run in the first inning with a single (David Cusack), double (Colby Morris), and an RBI fielder’s choice by Ryan O’Connor. 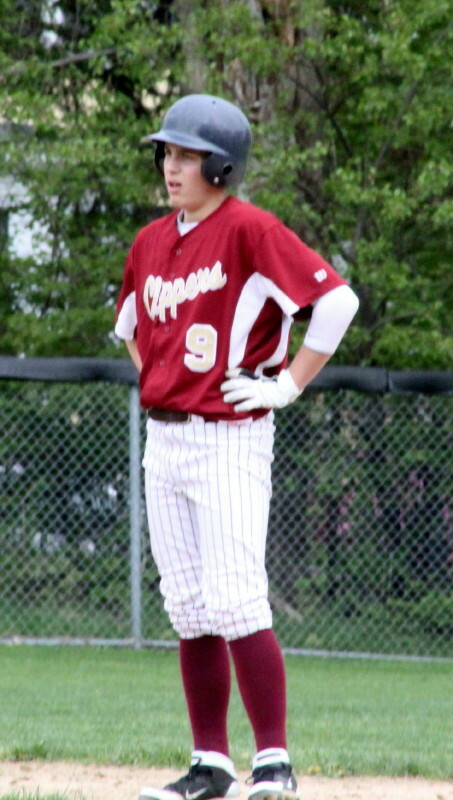 Colby Morris paced the Clippers with two hits. Jim Conway reached the fence in center for a double. Matt Mottola put a ball up the screen in left but was thrown out trying to get two bases out of it. He did drive in a run with that hit, though. Sam Scatterday was gunned down trying to steal second in the third inning. Keady Segel made a nice catch on a popup in front of the Clipper dugout in third. The last time I saw him he was in goal for the Viking soccer team versus Lynnfield in tourney soccer at Manchester-Essex. The pink shirt was gone but the sun glasses weren’t……..even on an overcast day. There is a lot of luck involved in seeing games. The weather can’t be trusted. Will it rain or won’t it? Your luck also has to extend in finding out that there even is a game. Today the Newburyport Daily News had last week’s schedule listed, the Gloucester Times didn’t list the game at all, the Rockport schedule on High School Net had the game at 3:45, and on the same site the Newburyport schedule had it at 4:45! How lucky do you feel? ?